Although we may like to think that we live in a perfect world and nothing will ever go wrong in the workplace, sometimes issues do arise in the office. At these times, a Michigan workplace investigation may become necessary! Common issues which benefit from outside investigation include: Asset Misuse, Internal Fraud, Staff Misconduct, and Misuse of Company Material. If these issues go unchecked, these issues can disrupt business and threaten company assets. In addition, hiring an outside investigator for a Michigan workplace investigation makes it clear that your business is taking the issue at hand seriously! You can also be confident that your Michigan workplace investigation will be independent and unbiased as an outside party is conducting it! Independent investigators are able to ask the “hard questions” through interviewing in order to gather information on the workplace issue through human intelligence, and we can also conduct an extensive internet investigation for social media and other web references which may pertain to the Michigan workplace investigation. Additionally, many potential issues can be detected before an individual is hired through a sophisticated background screening! 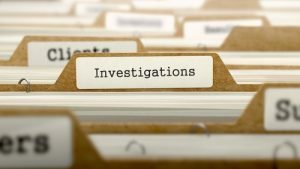 Hiring an outside and independent investigator also ensures that the Michigan workplace investigation will be impartial and will utilize techniques of discretion and subtlety. Further, should a deeper electronic search be required, we have the ability to conduct thorough Computer and Cell Phone Forensics in order to obtain any relevant data through these mediums. Through Computer Forensics, independent investigators are able to gather relevant evidence without corrupting the original data, including data which may have been deleted by the user! When an expert computer forensics professional is handling your Michigan workplace investigation, data is never truly gone for good. Through sophisticated Cell Phone Forensics, we make it possible to reveal GPS-pinged locations, communications of multiple types between the sender and recipients, as well as any files still on the phone or which have been deleted by the user. In addition to these methods, sometimes an undercover Michigan workplace investigation may be warranted. At these times, outside investigators are able to not only utilize high-tech surveillance equipment to capture video evidence of workplace issues, but an outside party can also carefully plan an undercover sting operation which makes it possible to identify a guilty party (or guilty parties) when it comes to workplace misconduct, employee theft, or internal fraud. As a Human Resources Specialist or Corporate Counsel, you know the benefits an independent Michigan workplace investigation can provide. If you have a workplace issue which would benefit from a Michigan workplace investigation, consider contacting our team of experienced investigators to discuss how ASG can help you!